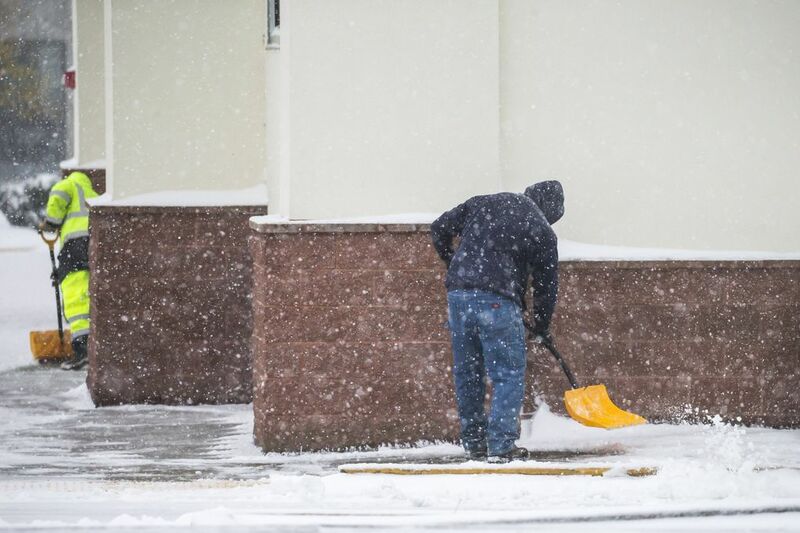 The National Weather Service recommended people stay home from work Monday. 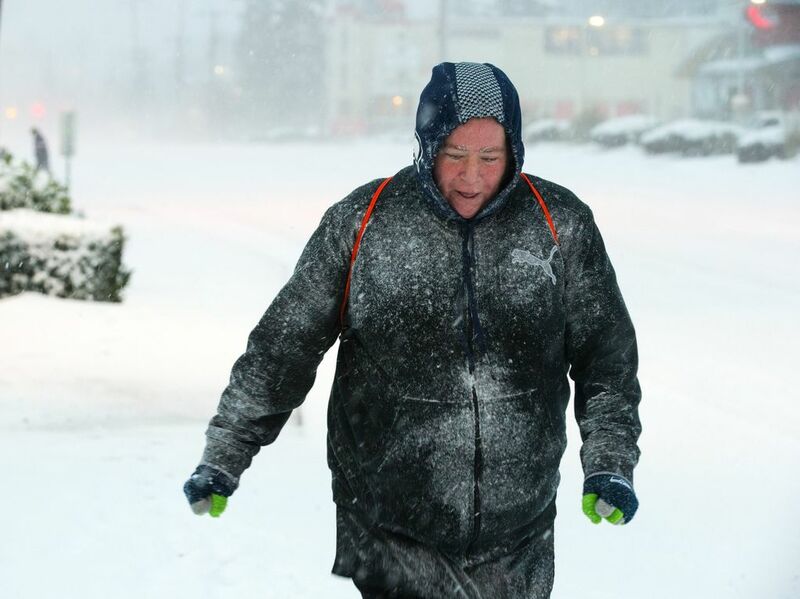 Now we're bracing for the evening commute. 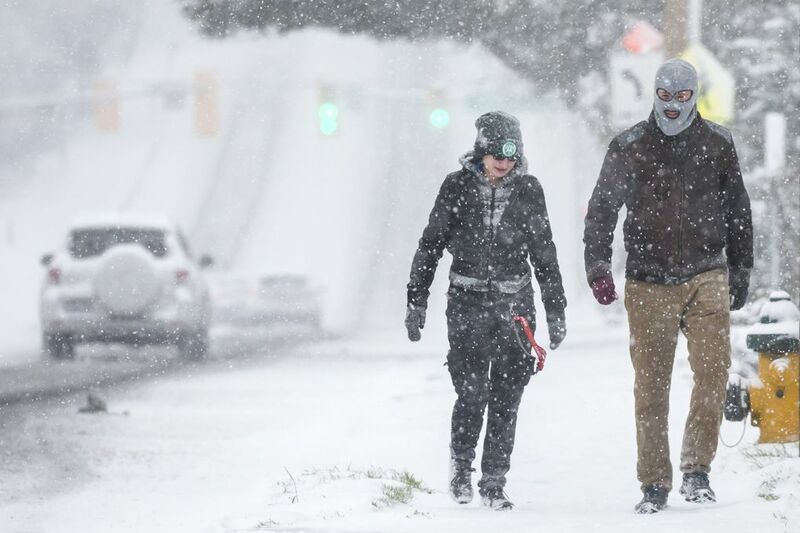 We'll post updates on closures and more in our live thread. 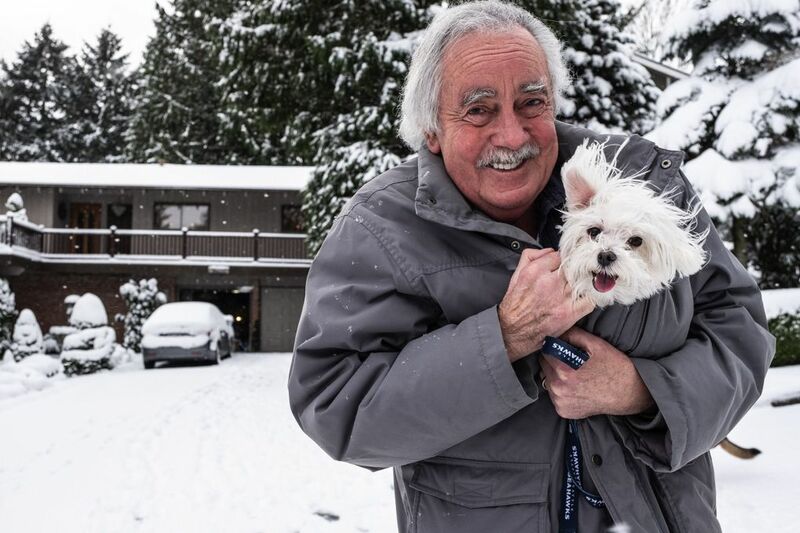 Editor’s note: This is a live account of updates from Seattle’s snowy Monday as the events unfolded. 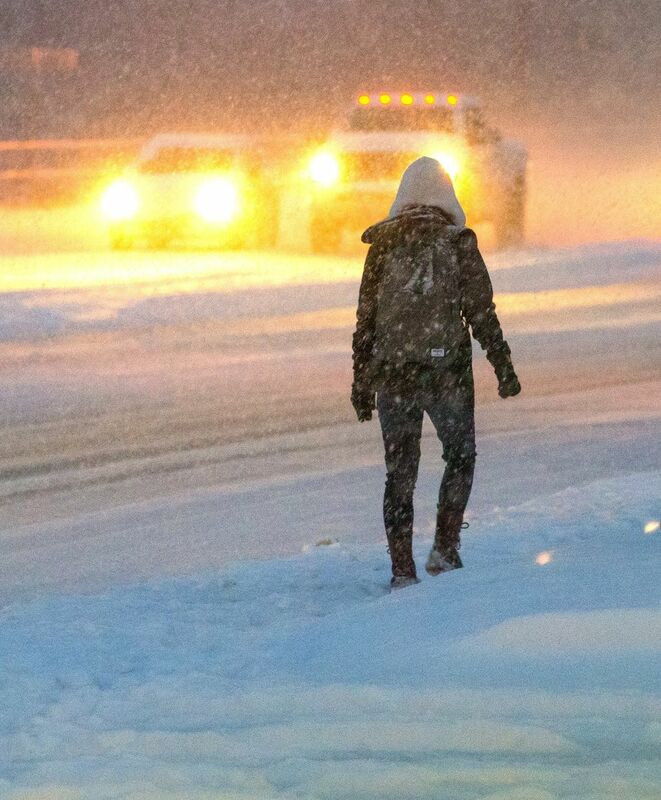 A full recap and forecasts for Tuesday is here. 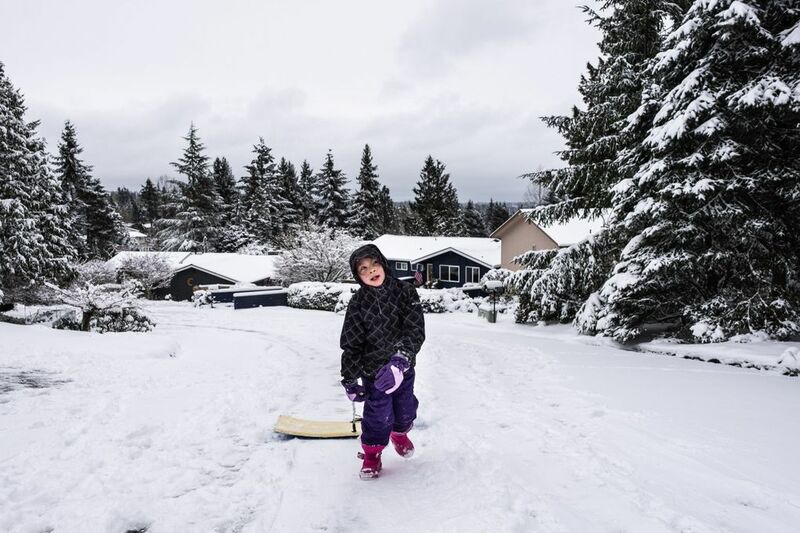 The snow on the ground in Seattle and other areas in the Puget Sound region is likely to remain through at least Tuesday as cold temps linger. 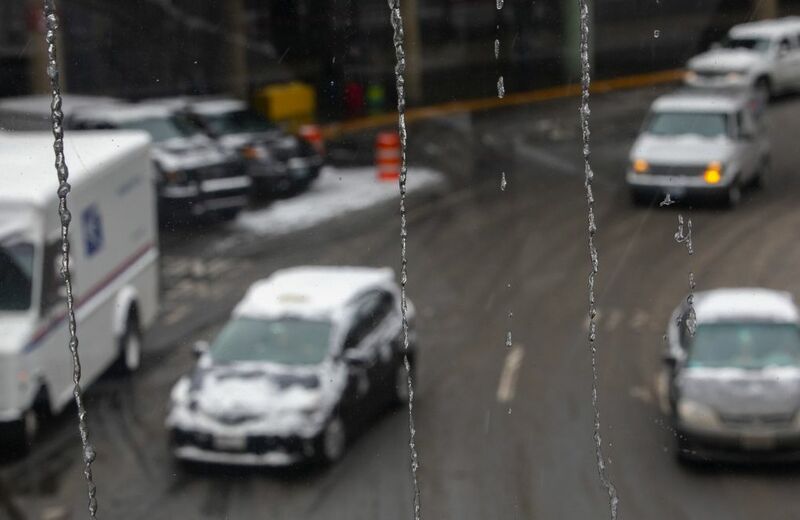 Icy conditions on roads could make the Monday evening and Tuesday morning commutes challenging. 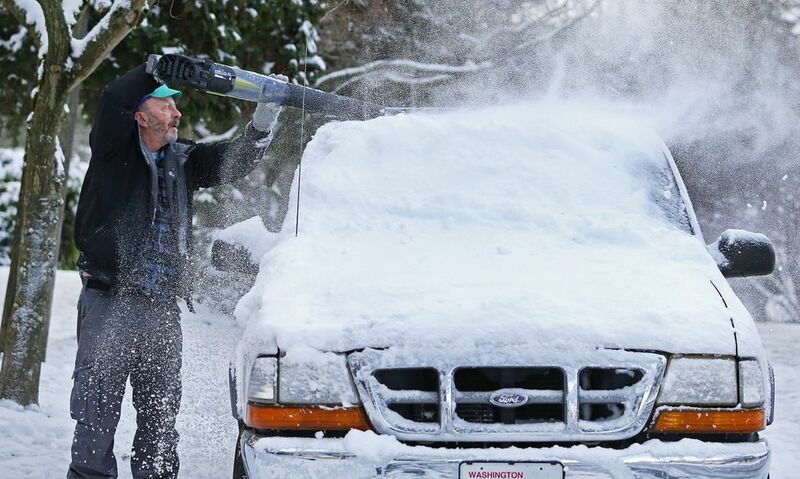 Here’s an overview on the Seattle area’s weather conditions and how residents are grappling with the snow and bitter cold. 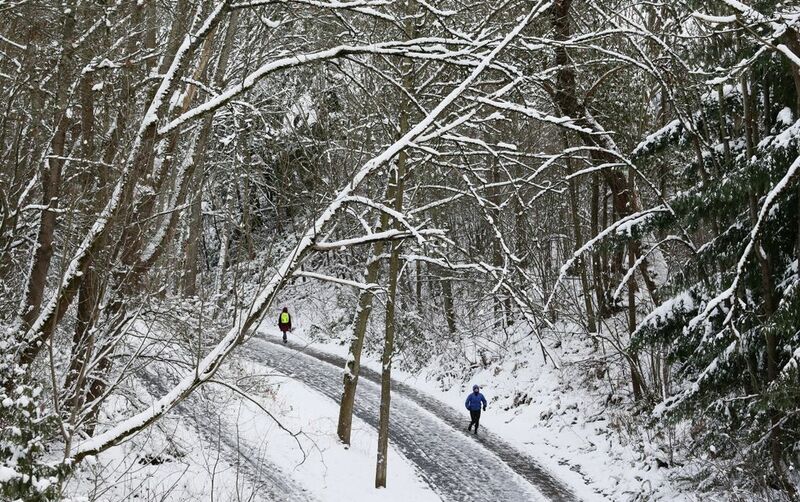 Temperatures fell to 24 degrees in Seattle, which broke the 2014 record by 3 degrees for the record low of the day. 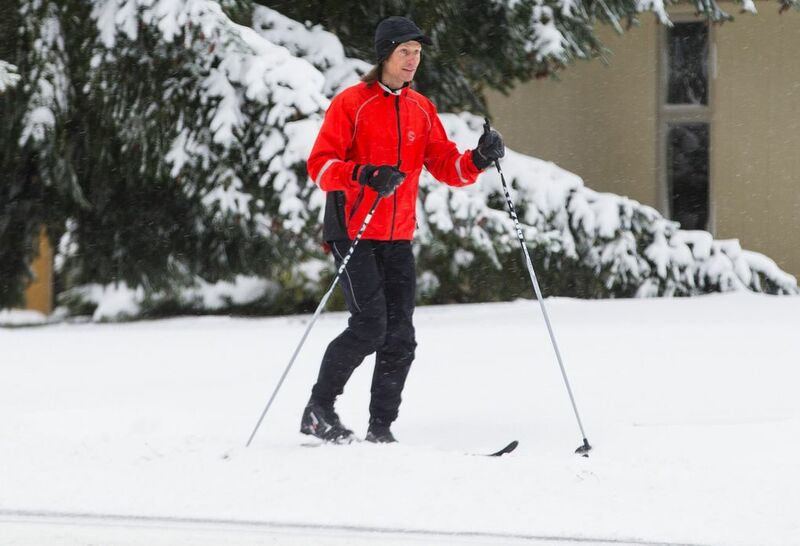 Meteorologists recorded 1.7 inches of snow at Seattle-Tacoma International Airport, which ties the Feb. 4 record set in 1949. 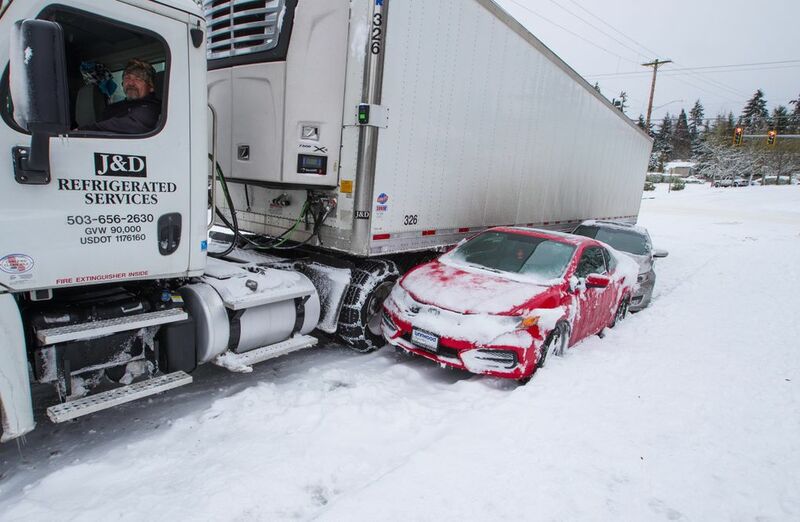 On that day, cars and buses on the Seattle-Tacoma Highway (later renamed Highway 99) were stuck for almost two hours, and trolley coaches were caught in pile-ups across the city, according to a Seattle Times story from that day. This concludes Monday’s live updates. 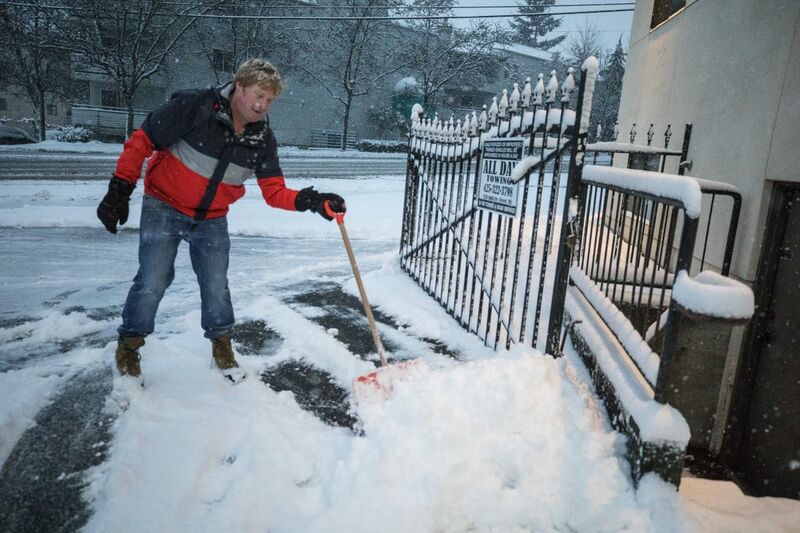 We’ll have more Tuesday, when temperatures are forecast in the upper teens and mid 20s. 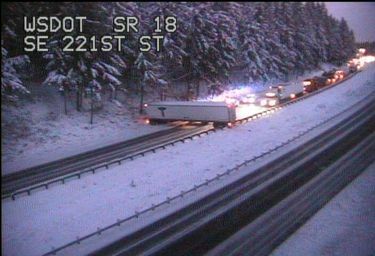 All lanes of eastbound Highway 18 east of Southwest 231st Street in Maple Valley are blocked by semi-truck that jackknifed. 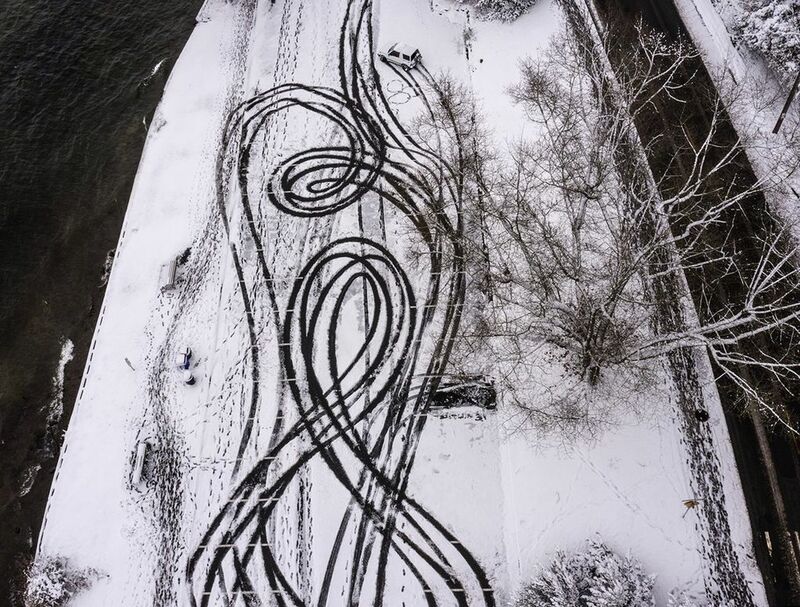 Drivers should use an alternate route. Commute times for drivers to and from Seattle are faster than usual, but if you’re taking public transportation, prepare for delays. 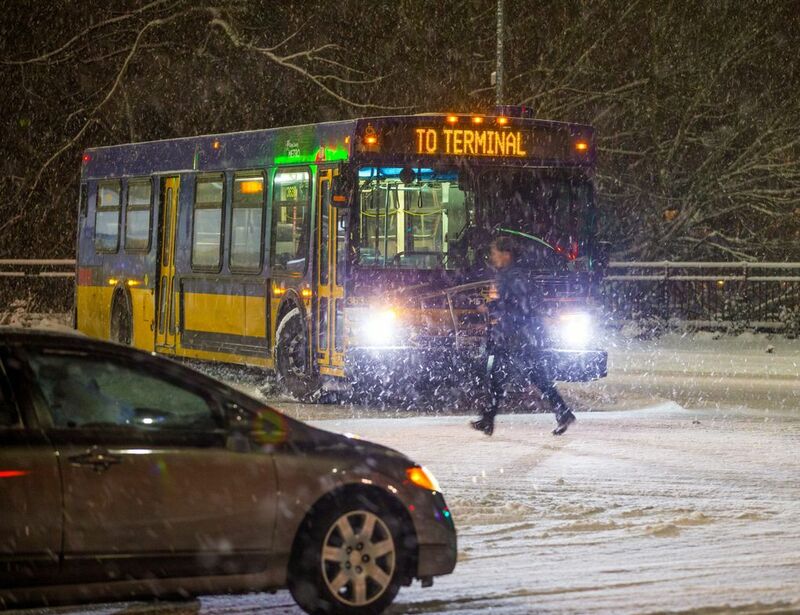 Sound Transit Express buses are delayed up to 40 minutes because of bad road conditions. 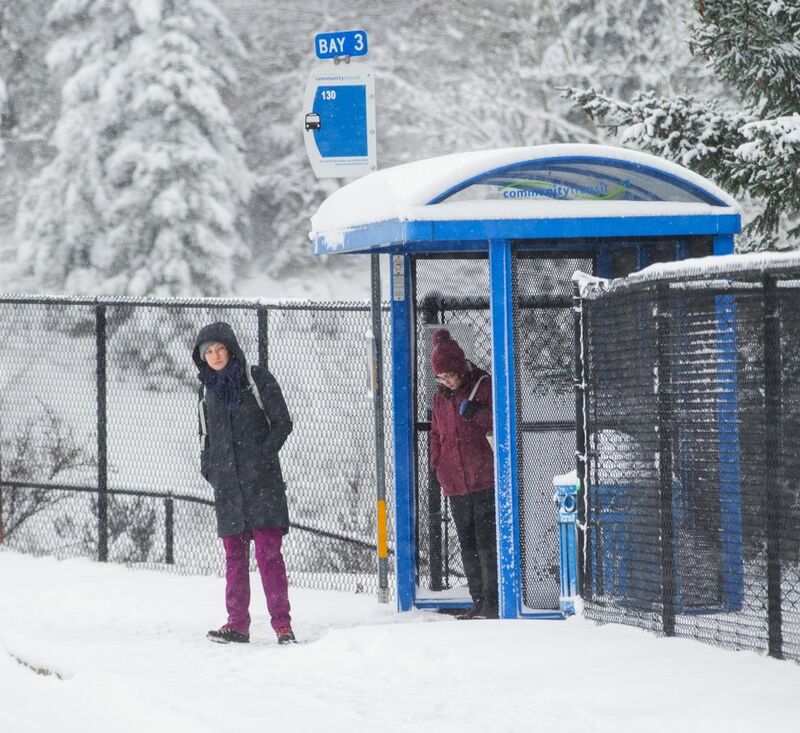 King County Metro buses are operating on snow routes and may run late. The King County water taxi’s West Seattle route has been canceled because of winds that caused unsafe conditions at the Seacrest dock in West Seattle. 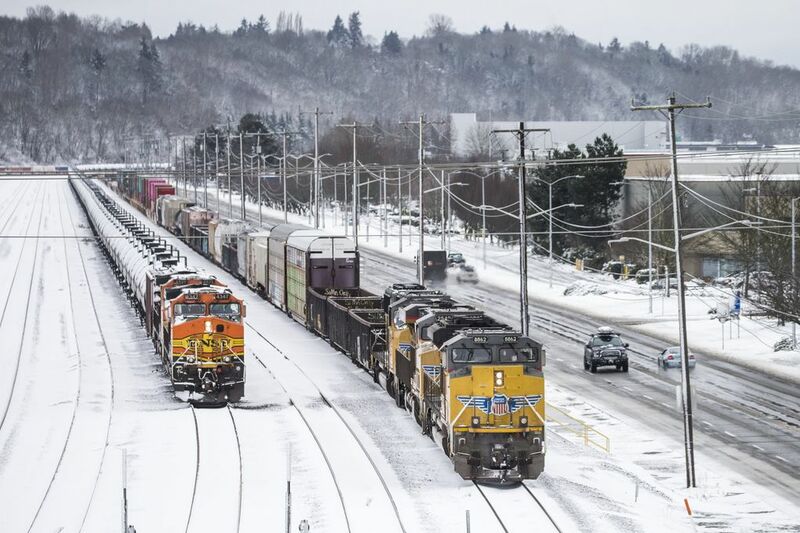 All Sounder north line trains are delayed about an hour en route to Everett, according to Sound Transit. 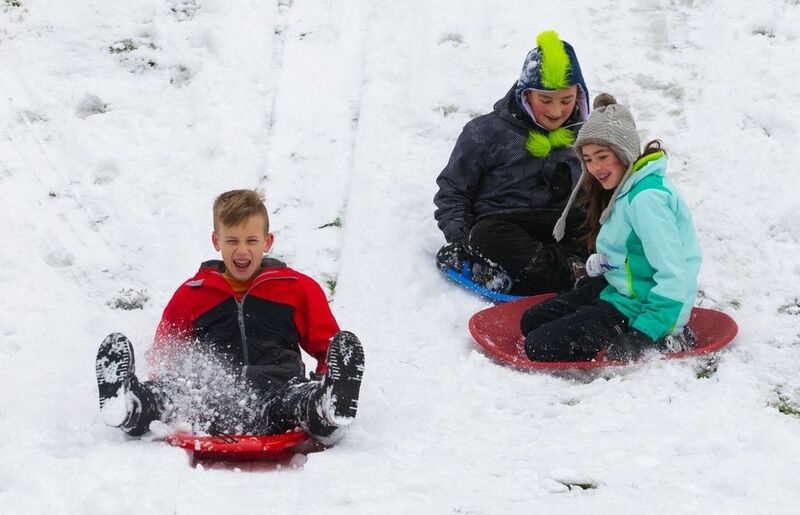 Kent, Shoreline, Issaquah and Renton schools will start two hours later than usual on Tuesday morning. 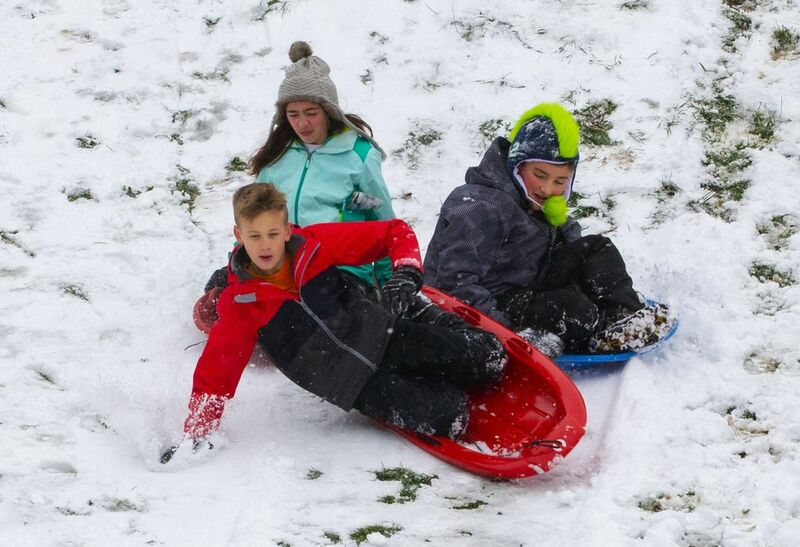 The school districts said officials will be monitoring conditions and will update families between 5 and 6:30 a.m. if there are any changes. 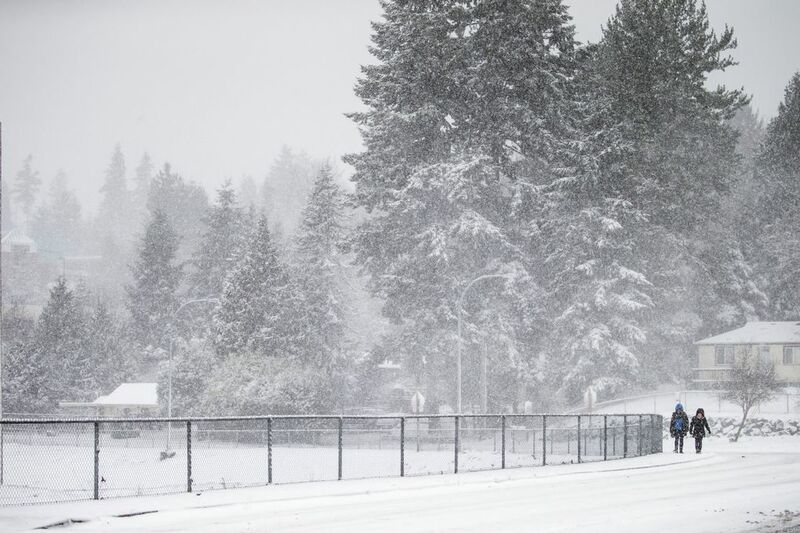 All Shoreline Community College classes that start before 10:30 a.m. Tuesday are cancelled. 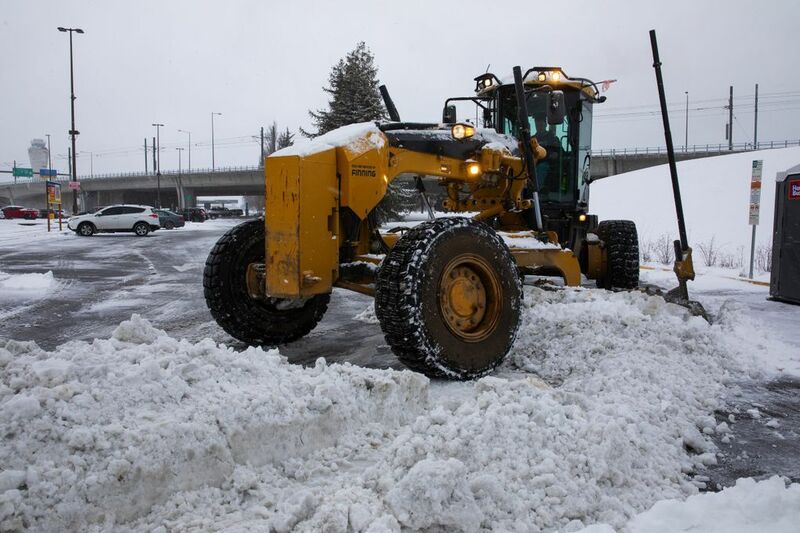 Campus buildings will open at 10 a.m.
Commutes to and from Seattle are running about the usual amount of time, according to the Washington State Department of Transportation. 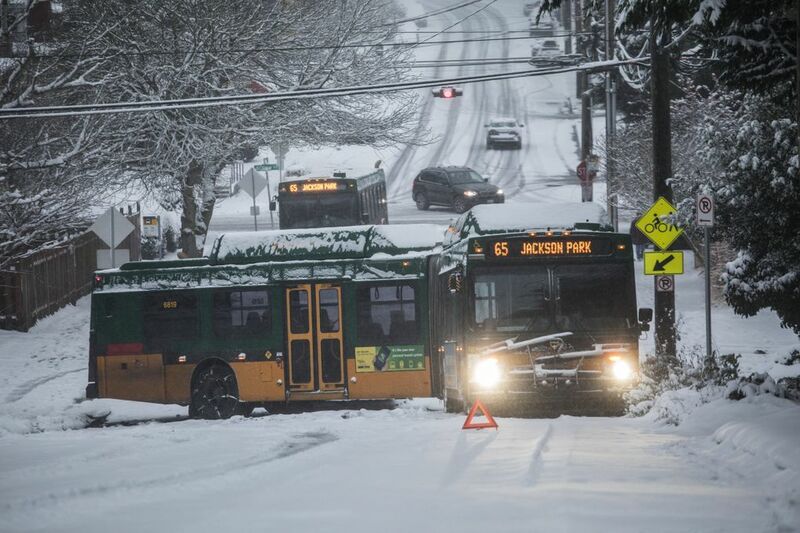 Within the city, there are dozens of reported obstacles on surface streets, as shown on the City of Seattle’s storm response map. 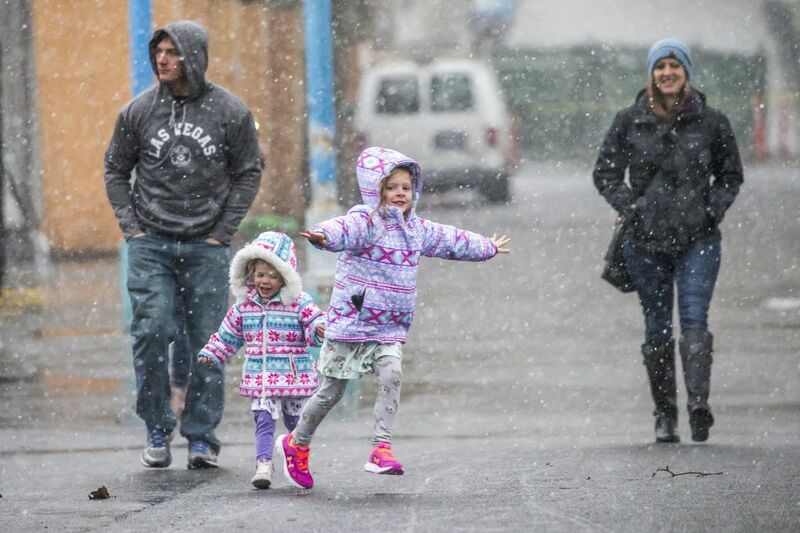 Seattle schools will start two hours later than usual Tuesday because of the weather. 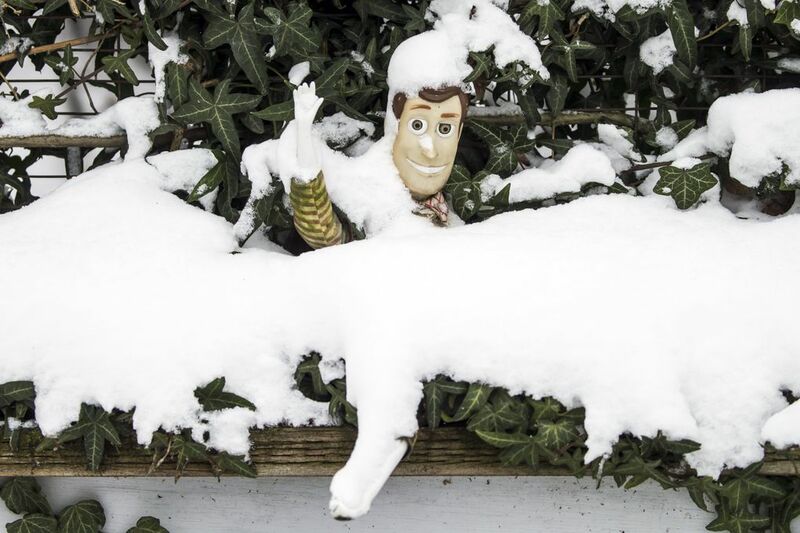 Preschool classes are closed, there will be no before-school activities and no door-to-door bus service. 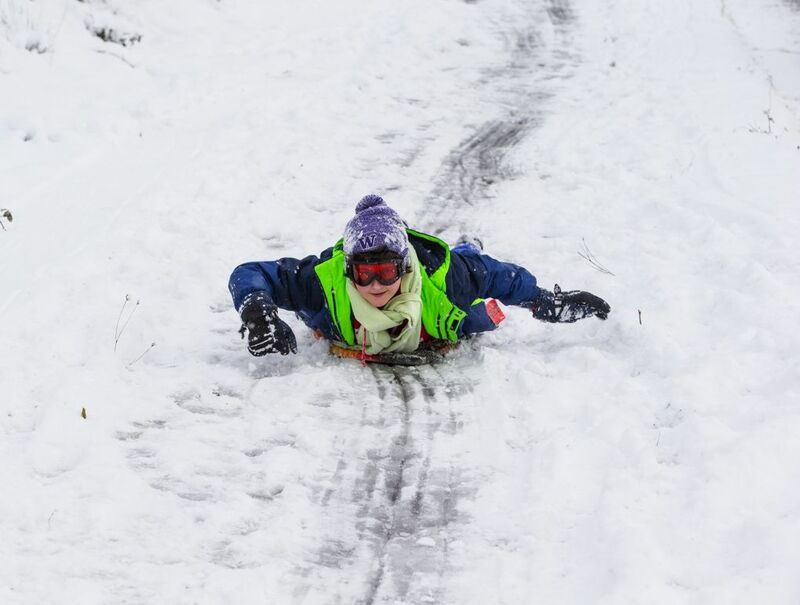 All other buses will run on snow routes. 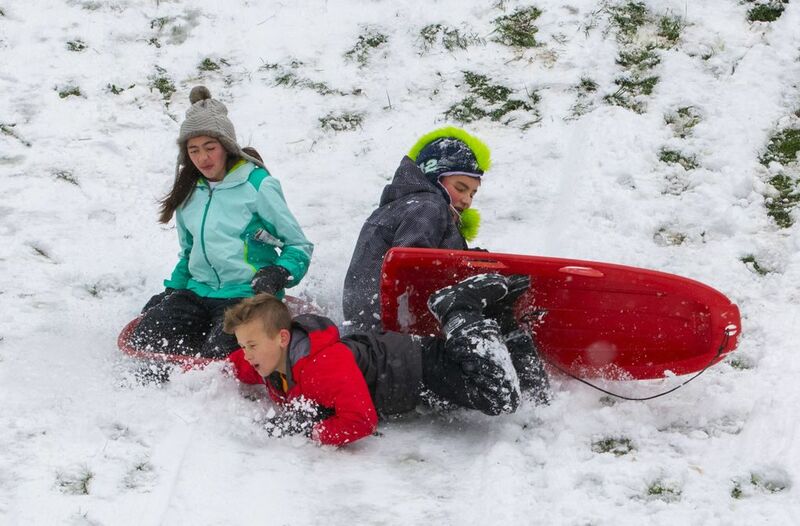 Highline Public Schools will also start two hours later than usual. 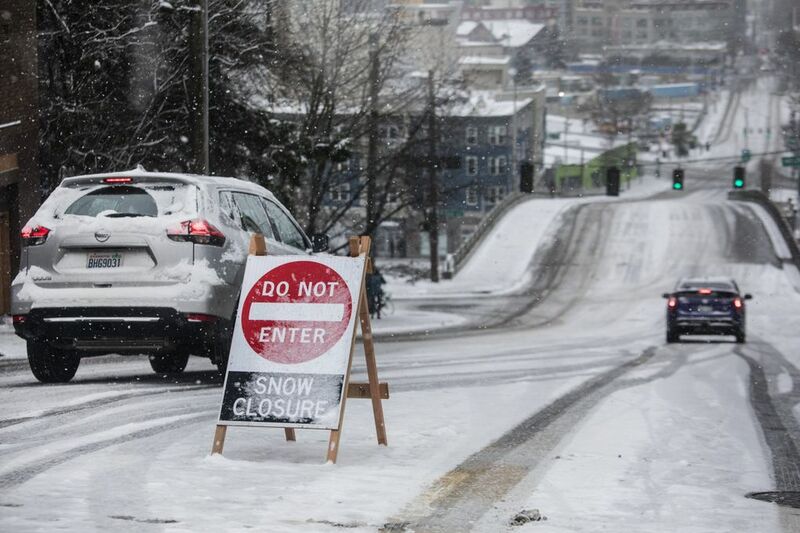 The snow band that was moving west toward the Puget Sound region has weakened, but some very light snow accumulation is still possible south of Renton and Issaquah, according to the National Weather Service. 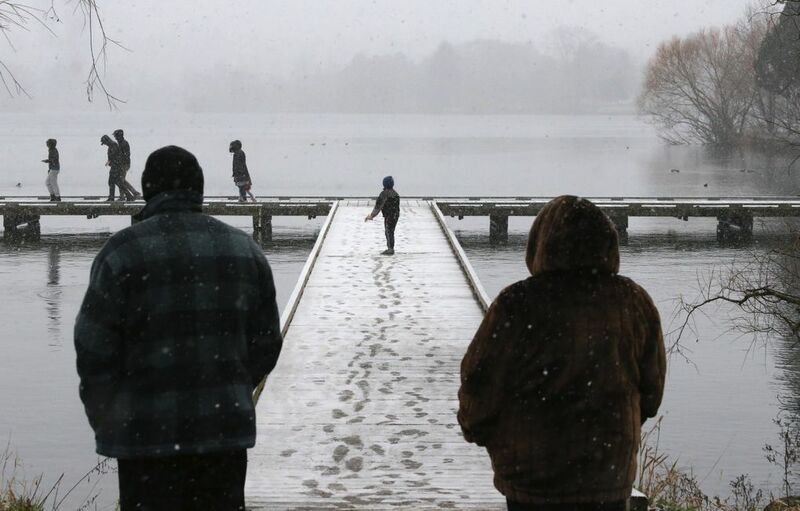 Temperatures have lowered to the upper 20s, with wind chills in the teens and lower 20s. 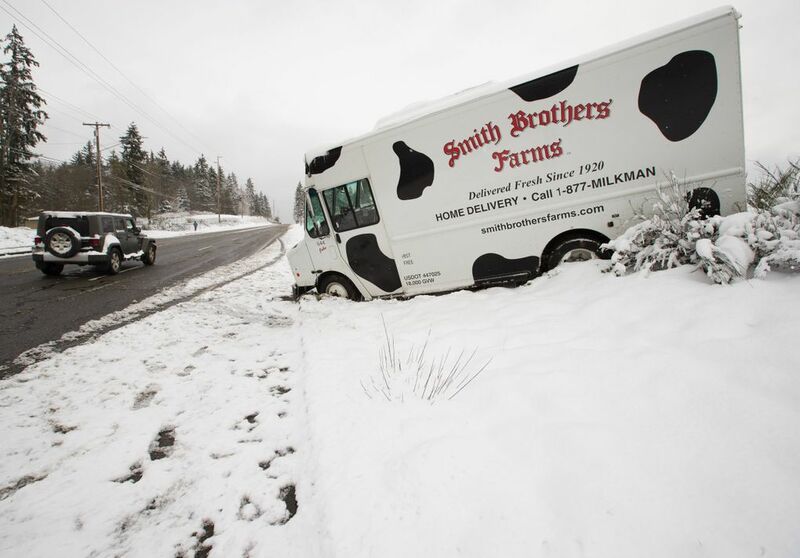 Prepare for icy roadways during the evening commute. 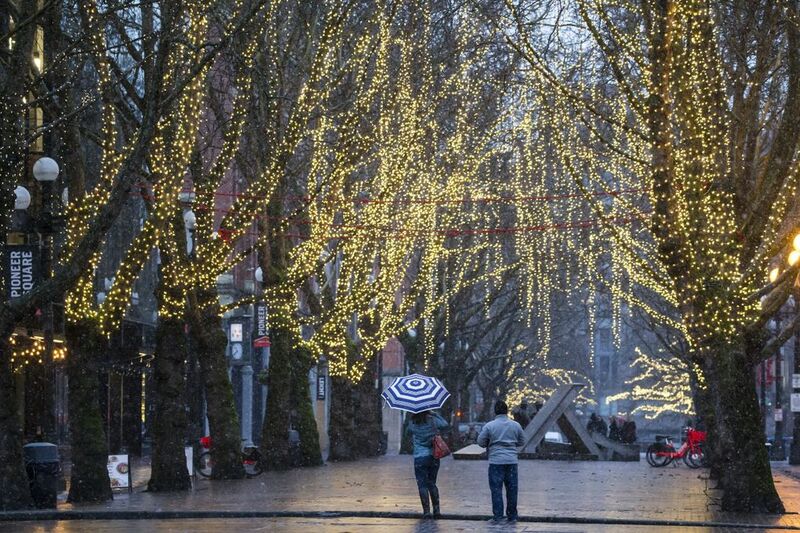 About 10,500 Seattle City Light customers are without power throughout the city. 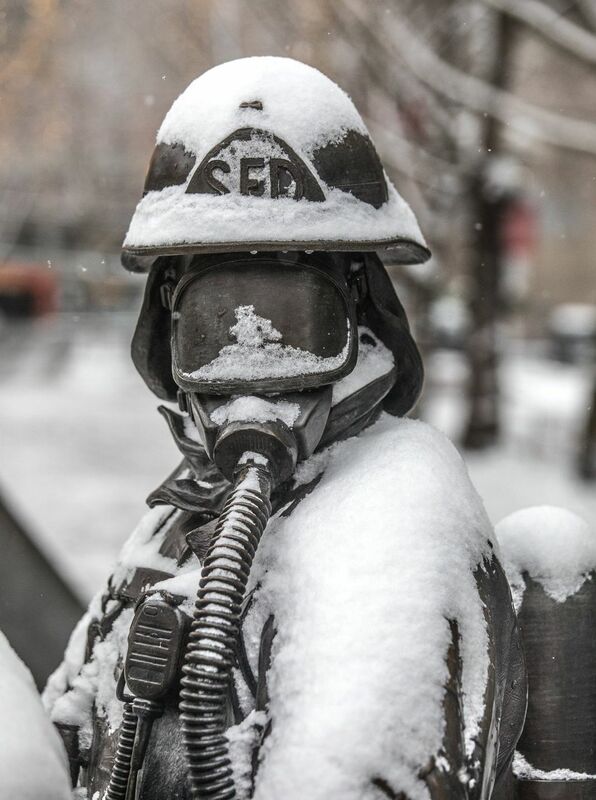 Burning charcoal and using gasoline generators inside can produce deadly carbon monoxide, which has sickened and killed residents after storms. 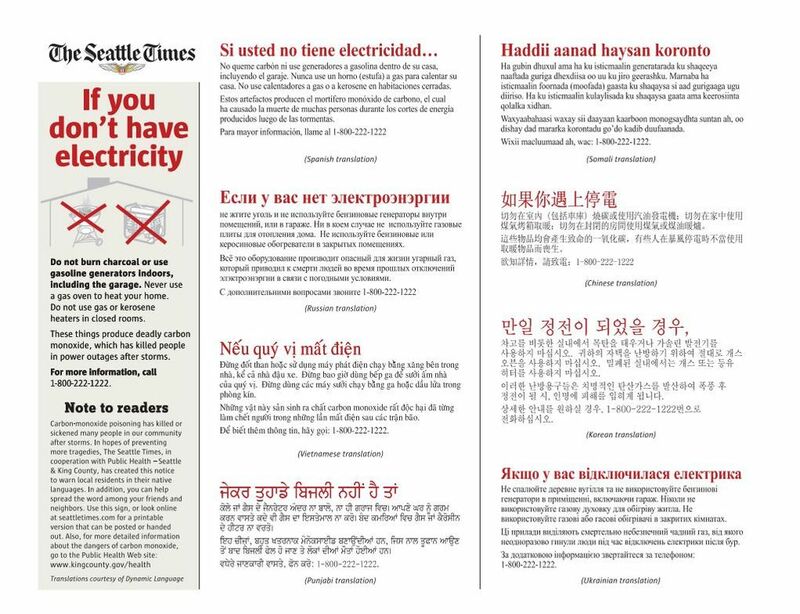 Twelve years ago, after a windstorm knocked out power across the region, more than 300 people were sickened and eight people died as families without electricity turned to other sources of heat and power. 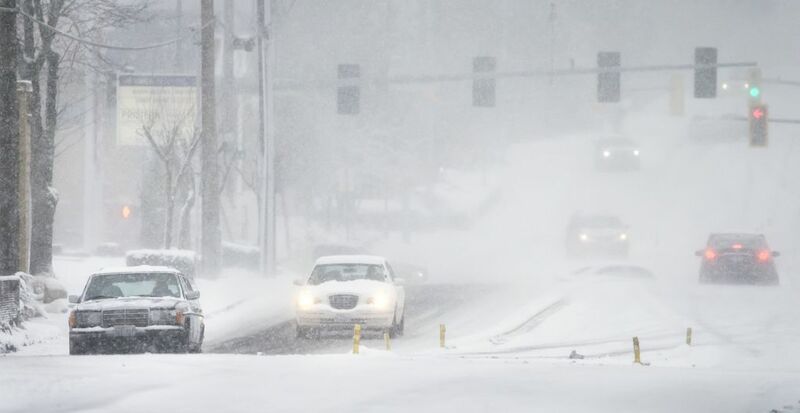 Another snow band is forecast to move through the Seattle area through 4 p.m., according to the National Weather Service, with up to 2 more inches of snow possible in some spots. 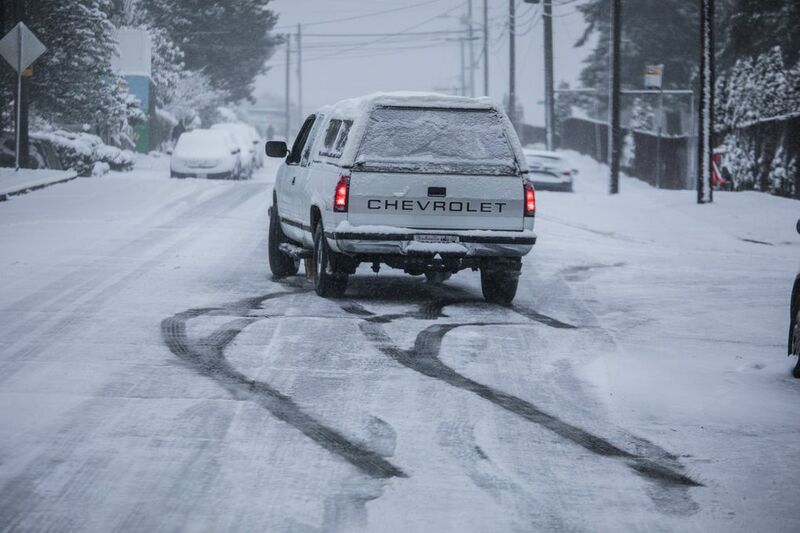 About 9,355 Seattle City Light customers are without power because of 35 outages across the city. 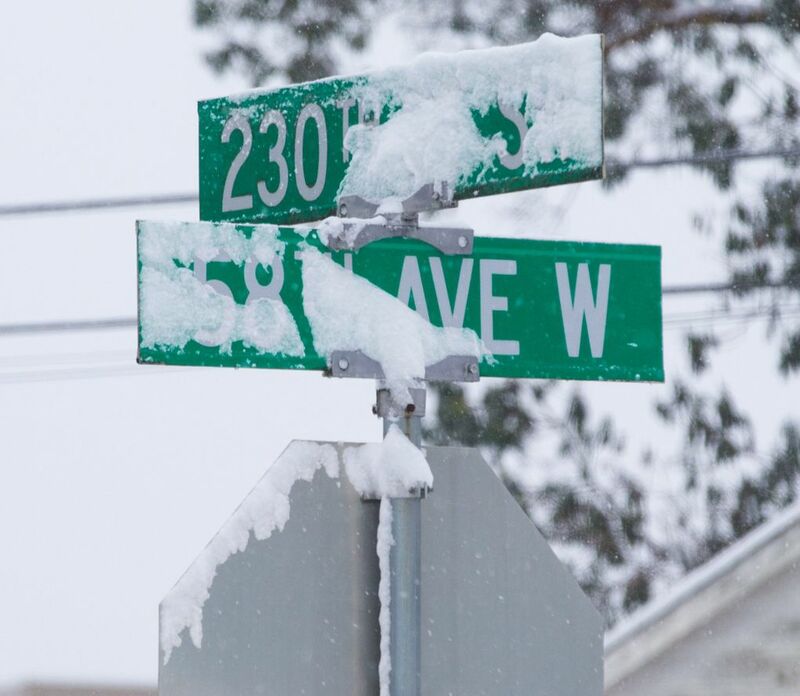 About half of those customers are in White Center and Burien, and a third are in Magnolia, where the estimated restoration time is 5 p.m. 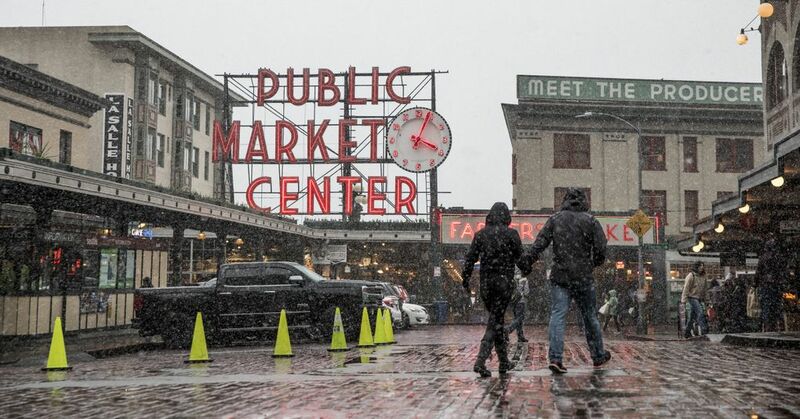 Temperatures are ranging in the low 20s to low 30s in the Seattle area, with the wind chill in the teens and lower 20s, according to the National Weather Service. 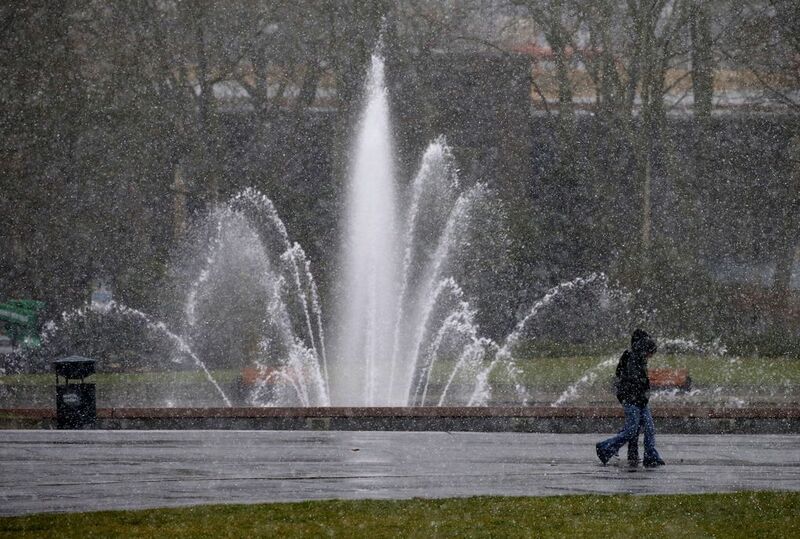 A severe weather shelter is open at Seattle Center for adults and will be open through Tuesday night. The shelter, which doesn’t require a referral form, is located at the Seattle Center Exhibition Hall. King County has added extra beds at the King County Administration Building in downtown Seattle through Wednesday night. 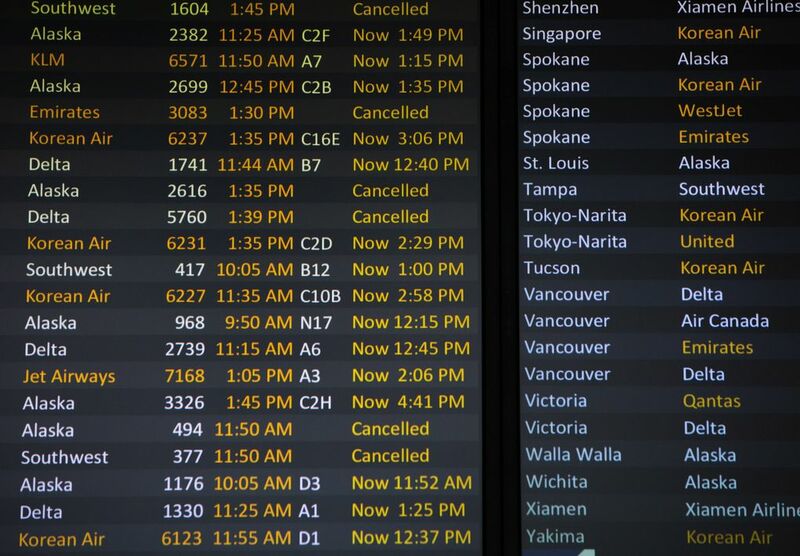 Thousands of passengers have been delayed or had their flights cancelled at Seattle-Tacoma International Airport, with 396 delays and 166 cancellations by 1:20 p.m. Monday, according to the flight-tracking website FlightAware.com. 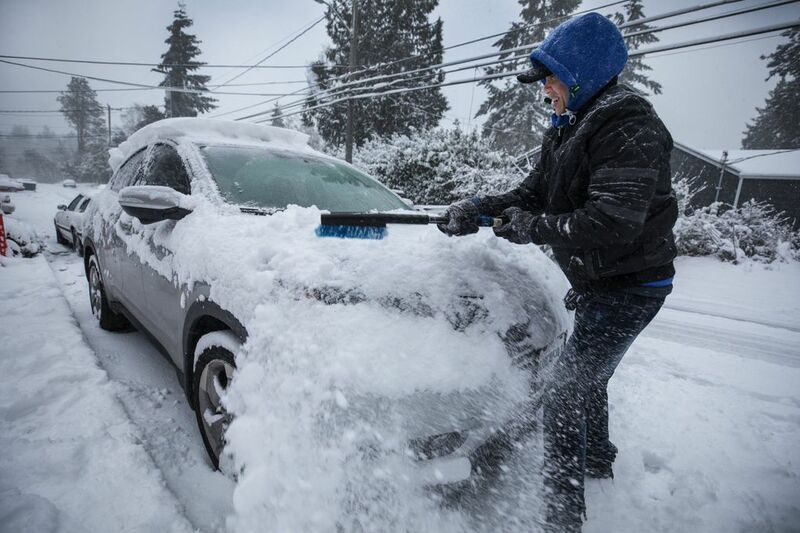 Nearly 80 Alaska Airlines flights have been canceled to and from Seattle because of the weather, the airline reported, impacting more than 6,700 passengers. 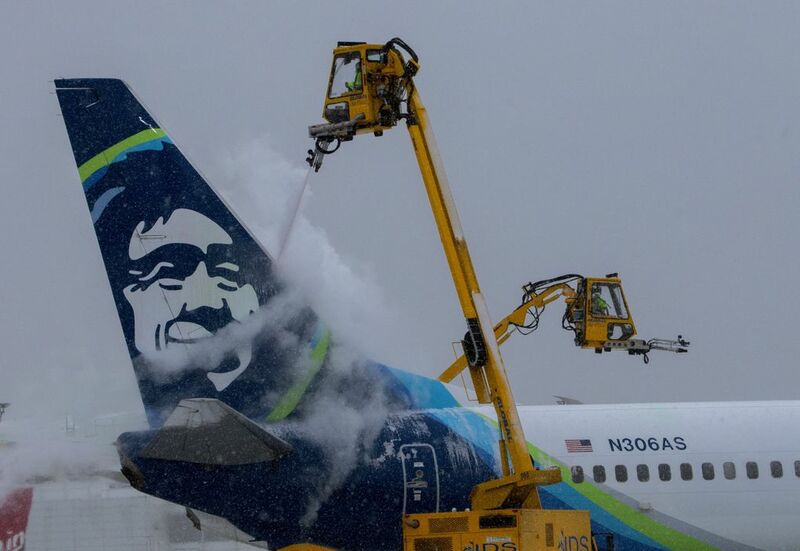 Alaska passengers scheduled to fly to or out of Seattle and Portland (where inclement weather is expected later today) can change or cancel their flights at no extra charge. 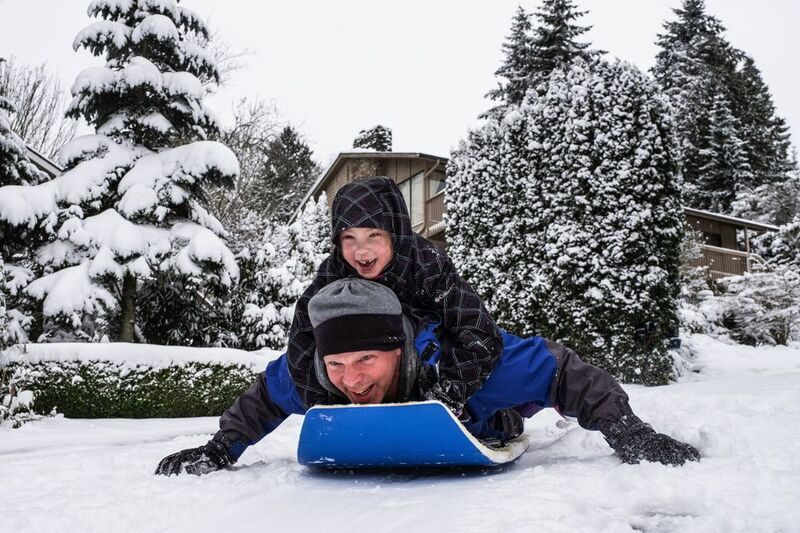 If there’s any way to stay home and take a snow day, this is the day to do it, according to Logan Johnson, meteorologist with the National Weather Service in Seattle. 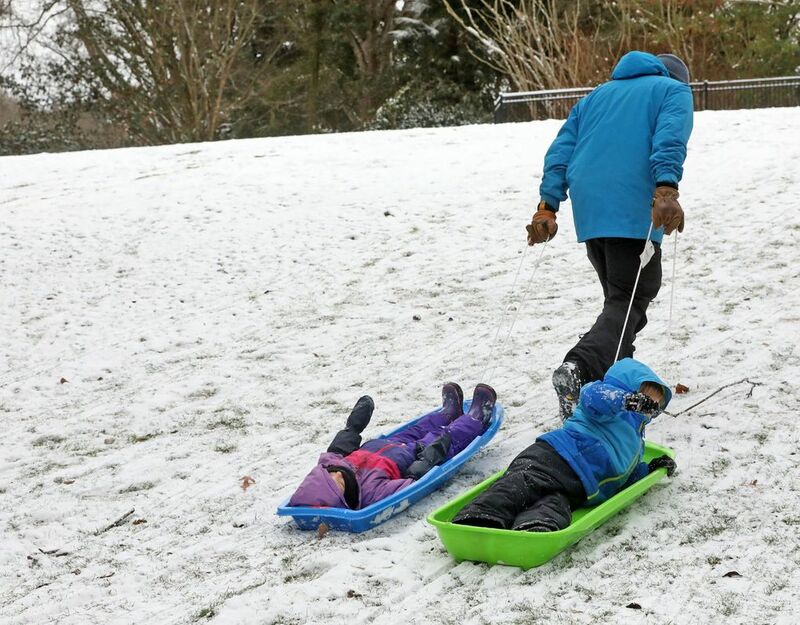 All public schools are closed today in Seattle, Lake Washington, Kent, Federal Way, Bellevue, Highline, Shoreline, Renton, Vashon, Bellingham, Port Townsend and Tacoma. 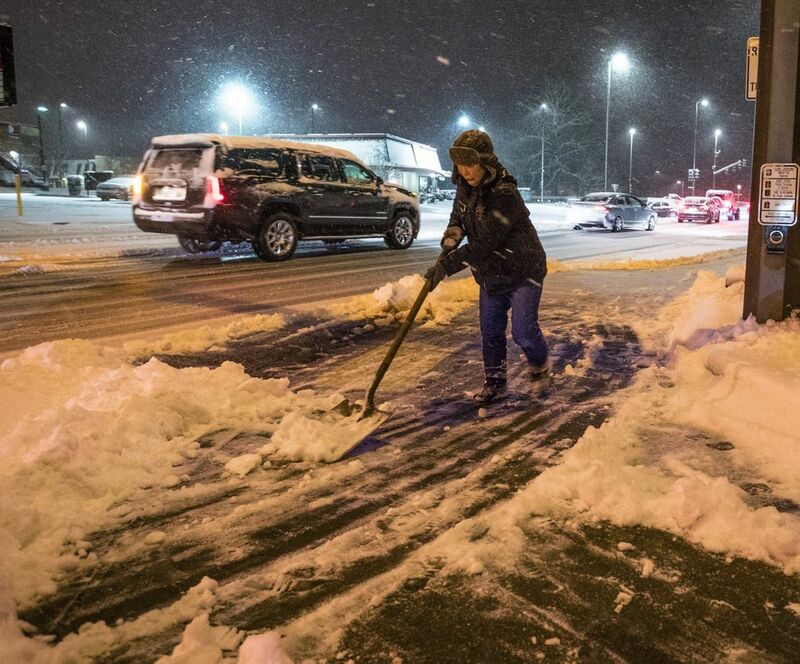 The Federal Aviation Administration (FAA) said the weather sparked implementation of a Traffic Management Program for flights arriving at the Seattle airport. 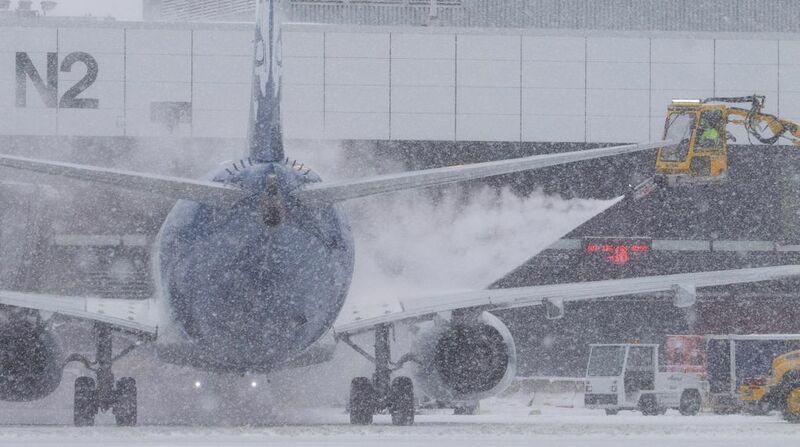 Arriving flights were delayed an average of 3 hours, according to the FAA.